Onions are growing, basil seeds have sprouted, as have the first zuccinis. 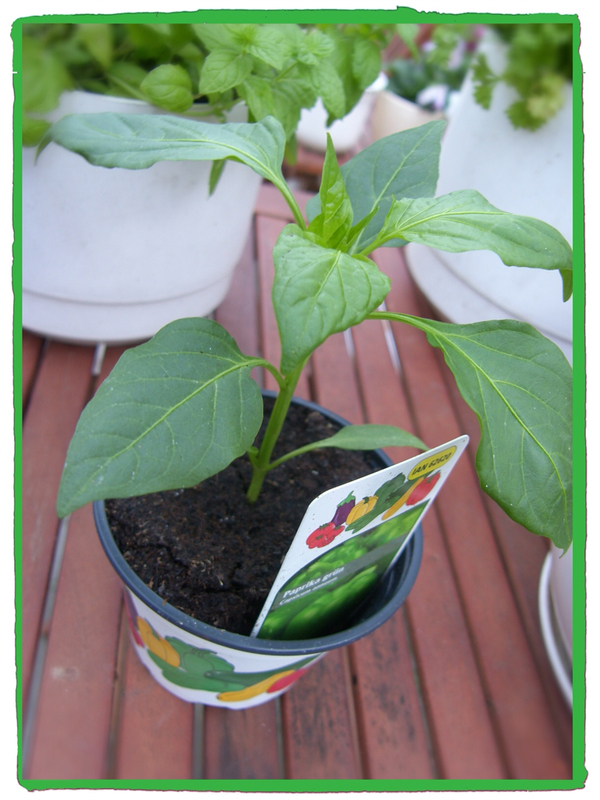 Medina chili is already producing its first chili pepper, and the tomato has its first flowers. 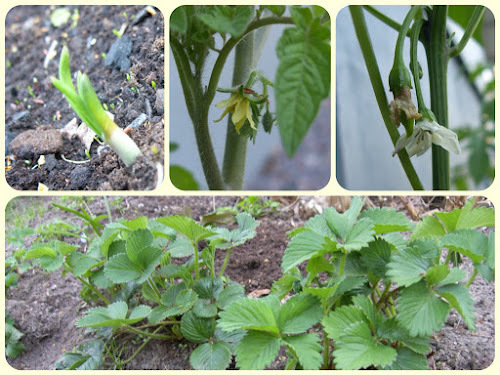 Strawberries are growing at the edge of the salad, spring onion and garlic bed (where so far only garlics have their heads out of the ground). The newest addition to our little garden is a green pepper plant.